The last dragon encounter taught an unsought lesson. You detest the smell of your own singed flesh. Nor do you relish claw marks on your forearm. Padding alone is not sufficient, which is why you chose the Edward Steel Full Arm Armour. 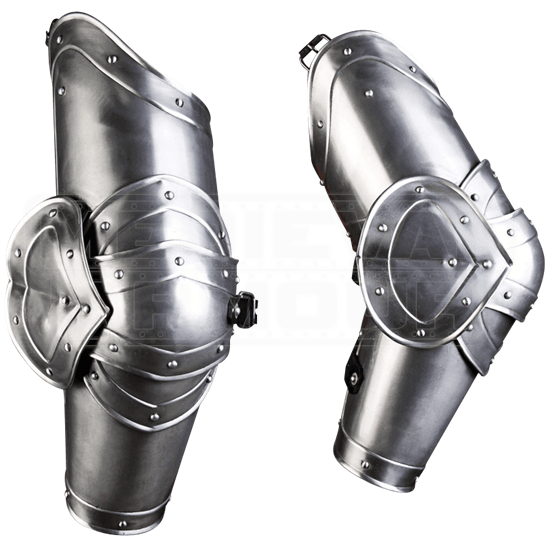 These medieval arm guards are very helpful on the LARP battlefield. 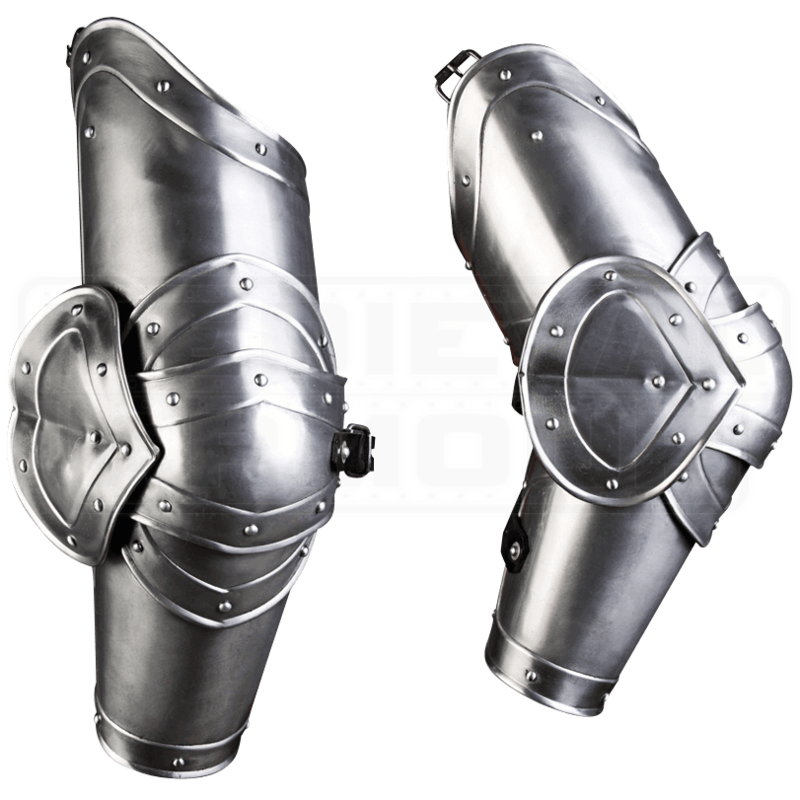 Enjoy the full defense of a bracer, couter, and rerebrace in one finely crafted piece. The enlarged diameter provides excellent fit over padding and chainmail. Adjustable buckle straps create a secure and comfortable fit. The upper cannon section includes straps for spaulder attachment.